Have you ever been trawling through a hotel booking website, trying to decide upon the perfect property for your long-awaited weekend away? Then, after looking through dozens of chic hotels, each with alluring photos and positive reviews, you eventually settle upon one of the familiar yet dependable global hotel chains. This decision to choose something that is familiar and well-known, is what is commonly referred to as the ‘mere exposure effect’. Also known as the familiarity principle, this psychological phenomenon highlights the innate nature of humans to prefer things simply because they are familiar with them. In order to test this belief, academics and researchers alike have conducted numerous studies into the subject. One of the most famous experiments was conducted by social psychologist Robert Zajonc. As part of a series of laboratory experiments, Zajonc demonstrated that humans were more likely to have a positive opinion of something if they had already been introduced and made ‘familiar’ to a particular stimulus. It is no secret that each and every year companies spend huge sums of money simply to have their logo recognised and familiarise people with their brand. In fact, in 2018 alone, more than $630 billion was spent on advertising worldwide. To give you a simple example of why brands are spending so much on advertising, imagine you are at the supermarket looking to buy some cereal. After walking up and down the aisle, you are faced with a conundrum; i.e. to choose the brand you are familiar with and that is a trusted supplier of healthy cereals, or alternatively, to choose a brand you have never heard of simply out of curiosity. I think it is safe to say that almost all of us would opt for the familiar brand as our cereal of choice. Be relevant: Instead of being blindly focused on delivering a consistent message, marketers should really focus on being constantly relevant. Think about it would you rather meet someone and talk about one thing, or would you rather meet someone and talk about a range of relevant things? 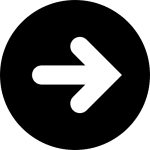 Adapting your messages according to the stage of the customer’s journey will keep your customers engaged and ensure that you are able to increase your conversions. Use technology to scale: In order to ensure your messages are relevant, you need the help of technology. With the increasing amount of data available it’s becoming more difficult to determine what is relevant for each individual customer. Let alone having to do this accurately for the millions of customers in your database. AI can make sense of your data and create the most relevant communications and recommendations to achieve maximum engagement. There’s a big difference between frequent relevant communications and overwhelming mass advertising. Every contact you have with a customer influences whether or not they will come back. 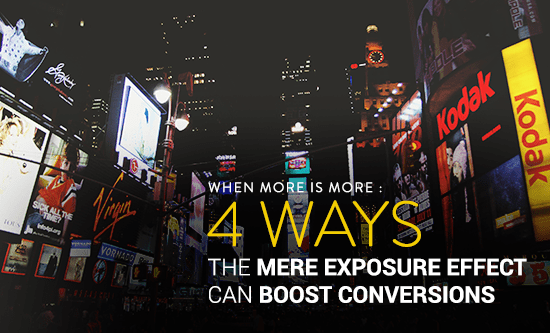 Use mere exposure wisely: you can talk to your customers as much as you want, as long as your messages are relevant. FOR MORE DETAILS ON HOW TO INTEGRATE PSYCHOLOGICAL TECHNIQUES WITH AI,CLICK HERE. 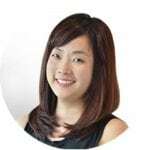 By Helena Woo, Strategic Customer Engagement Director at DA. With over 25 years of experience in data-driven marketing, she is constantly looking for ways to innovate, leading the strategic vision and value proposition for our clients. Helena has helped clients across industries achieve their marketing goals, marrying data and technology to deliver great customer experiences.